Franchising is hugely popular in North America, and as of 2017 there are almost 800,000 franchise establishments employing nearly nine million people in the U.S. When it comes to starting a business, many people choose owning a franchise based on the belief that success is guaranteed. Unfortunately this is not always true and interested buyers should be fully aware of franchise advantages and disadvantages before making the decision to become a franchisee. Lower Failure Rate - When you buy a franchise, you are buying an established concept that has been successful. Statistics show that franchisees stand a much better chance of success than people who start independent businesses; independent businesses stand a 70 to 80 percent chance of not surviving the first few critical years while franchisees have an 80 percent chance of surviving (Michael M. Coltman, Franchising in Canada: Pros and Cons, Self-Counsel Press). Help with Start Up and Beyond - You get a lot of help starting your business and running it afterward. Many franchises are, in fact, turnkey operations. When you buy a franchise, you get all the equipment, supplies, and instruction or training needed to start the business. In many cases, you also get ongoing training and help with management and marketing. Your franchise will reap the benefit of the parent company's national marketing campaigns, for instance. Buying Power - Your franchise will benefit from the collective buying power of the parent company as the franchisor can afford to buy in bulk and pass the savings along to franchisees. Inventory and supplies will cost less than if you were running an independent company. Star Power – Many well-known franchises have national brand-name recognition. Owning a franchise can be like buying a business with built-in customers. Profits - A franchise business can be immensely profitable. As expected, the most proven, popular franchises such as McDonald's and Tim Horton's tend to have much higher franchise costs but are more likely to generate high returns on investment. The signage, layout, furniture, etc. The franchisors argument for this level of control is to maintain the uniformity of the product so that each franchise location has the same look and feel to the customer. 2. Ongoing Costs – Besides the original franchise fee, royalties, a percentage of your franchise’s business revenue, will need to be paid to the franchisor each month. The franchisor may also charge additional fees for services provided, such as the cost of advertising. 3. Ongoing Support? Not all franchisors offer the same degree of assistance in starting a business and operating it successfully. Some are just startup operations – and everything after startup is up to you. Others make promises of ongoing training and support that they don't follow up on. McDonald's $1 - $2.3 mil. $750,000 $45,000 $2.5 mil. Taco Bell $1.2 - $2.5 mil. $750,000 $45,000 $1.4 mil. Wendy's $2 - $3.5 mil. $2 mil. $40,000 $1.5 mil. 5. Shark-Infested Waters - Buying a little-known, perhaps inexpensive franchise can be a real gamble. 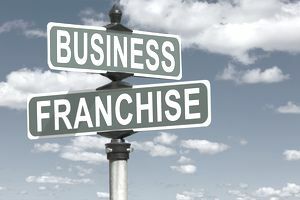 Just because a business is offering franchises is no guarantee that the franchise you buy will be successful. Keep in mind also that defining "success" is subjective - some franchise operations may perform reasonably well but never achieve the owner's desired level of profitability. In some cases, franchising is the business; all the franchisor is interested in is selling more franchises. Whether or not the individual franchises are successful is irrelevant to them. This is not to say that no little known, inexpensive franchises are worthwhile, but just a reminder that any franchise you're thinking of buying needs to be investigated carefully. Let’s suppose, though, that you’ve found a franchise that interests you and that appears to be a solid opportunity for a franchisee. What do you do next? Read on to learn about the franchise application, interview and contract. The first step to owning a franchise is to contact the franchisor operating a franchise that you’re interested in. Usually, when you express an interest, the franchisor will expect you to complete a questionnaire or application form. Do not be surprised that the franchisor’s questions include detailed questions about your finances. A franchisor will want to know about your personal assets, for example, because he or she wants to make sure you have a fall-back position to carry the business in case it runs into financial difficulty. You will probably also be asked about your spouse’s financial situation. Once again, the franchisor wants to be sure that both of you are prepared to make the financial commitment necessary to start and run the franchise successfully. For information on small business funding, see 10 Things You Need to Know About Small Business Funding and for sources of financing see Starting a Business: Finding Small Business Financing. You’re also sure to be asked questions about your experience, background, and even aspirations, to help the franchisor determine whether or not you’re the kind of person he or she feels will be able to run the business successfully and fit into the franchise model. This second point is especially important to franchisors because successful franchises depend on the uniform application of the system they have developed. They do not want people that they view as too independent or people who are going to “gum up the works” because they can’t resist experimenting or applying their own ideas. If you “pass” the questionnaire or application test, the next step is usually a meeting with the franchisor that you can think of as a job interview. The franchisor will continue to explore your interest, commitment, and suitability; you, on the other hand, will be trying to find out as much as possible about the franchise. If the franchisor decides you are a suitable franchisee, you will be offered a franchise contract that lays out the obligations of both parties. You should seek legal advice about the contract and go over it carefully. Like any other contract, some aspects of it may be open to negotiation. And like any other contract, if there are any promises made about the franchisor/franchisee relationship that are not in the franchise contract, get them written in. Is there a franchise in your future? Buying a franchise is like buying any other kind of business in that you have to do your due diligence and investigate the franchise fully. However, if you are the right sort of person for a franchise operation and pick the right franchise, being a franchisee can indeed be the fast track to success. For a list of the retail franchises ranked as the best in the world see Top 100 Global Retail Franchises.